Today in India, with a tap of a smartphone, a manufacturer instantly books shipping services for his/her goods through a virtual marketplace. BlackBuck’s online platform has rapidly grown to connect over 350 shippers with a network of over 80,000 freight truckers, much like the Übers and Olas of passenger ride-sharing applications. Using this profoundly simple idea, BlackBuck is bringing unprecedented efficiency and transparency to transport logistics in the world’s fastest growing economy. This innovative and climate-smart business model, and many others like it across South Asia, sheds light on how the private sector in the region has adapted to global economic headwinds, capitalising on climate-related opportunities for rapid growth. A recently issued report by the International Finance Corporation (IFC) – a member of the World Bank Group – Climate Investment Opportunities in South Asia finds an aggregate investment opportunity of $3.4 trillion in key sectors such as green buildings, transport including electric vehicles, urban infrastructure, renewable energy, and climate smart agriculture in the region’s transition towards a low-carbon growth path. Although a significant portion of this investment potential lies in India due to the scale of its markets and size of its population, there is substantial untapped opportunity for growth in the rest of South Asia. Climate-smart urban infrastructure: The Climate Investment Opportunities in South Asia report finds that 250 million more people are expected to inhabit South Asia’s cities by 2030. This will create a $1.5 trillion opportunity for green buildings investment between 2018 and 2030. In few countries is this more apparent than in India whose urban population is expected to grow to 590 million, or 40% of the total, by 2030. Movement of India’s young, large, and growing labour force to urban areas is creating a significant investment opportunity to create climate-smart urban infrastructure to accommodate this shift. Ground-breaking public-private partnerships, such as street lighting renovation in cities like Bhubaneswar, are demonstrating how the private sector can rise to meet ambitious targets set by the government. By tying private sector rewards to energy saved by the city, this agreement has accommodated retrofitting of nearly 20,000 street lights throughout the city and created a centralised control and monitoring system. The IFC is replicating this project across the country in Jaipur, Berhampur, Cuttack, Rourkela, and Sambalpur – collectively reducing greenhouse gas emissions by nearly 50,000 metric tons per year while making streets safer for citizens. 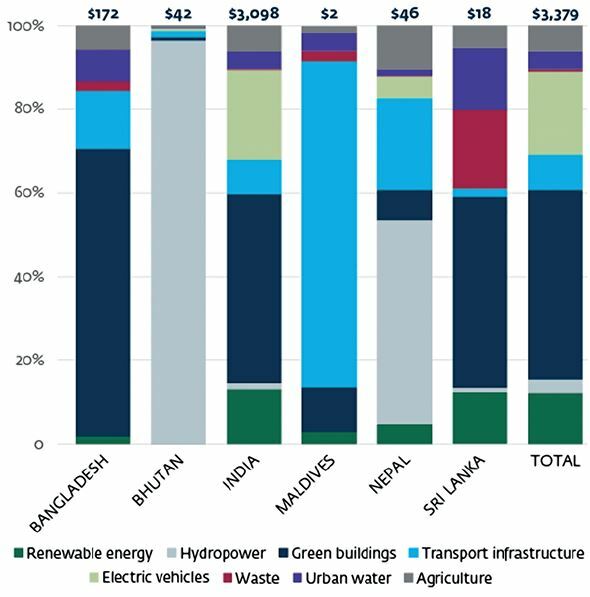 Figure 1: South Asia’s climate-smaart investment potential 2018-2030 ($ billion). By fully meeting climate targets South Asia can unlock nearly $3.4 trillion in climate-smart investment © IFC. The need for modern, climate-smart infrastructure is no less vital in rural areas. In Bangladesh, where approximately 70 million people lack access to grid-based electricity services, and another 60 million have only sporadic access, there are new clean energy solutions. IFC’s Lighting Bangladesh initiative aims to provide access for 2.5 million people in the country to clean, affordable energy by catalysing the country’s private sector market for modern off-grid lighting products, home systems, and mini-grid connections. With a role to serve in both urban and rural communities, alow-carbon transportation infrastructure is also emerging as an attractive private sector investment opportunity that will play a key role in driving future economic activity. For example, Bhutan’s 2040 Integrated Strategic Vision outlines the construction of 2,500 kilometres of rural roads by 2040, expanding and improving highways, and introducing low carbon inter- and intra-city public transport services. In particular, the country has announced plans to replace its entire fleet of cars with electric vehicles and has partnered with Nissan Motor and Mahindra & Mahindra to replace the entire public-sector and taxi vehicle fleet with electric vehicles in its capital city, Thimphu. The government has provided tax exemptions for the importation of electric vehicles to further promote their uptake. Clean energy: Rising to meet demand for access to energy, South Asia can unlock over $411 billion in renewable energy investments, not including hydropower projects, through 2030. This significant financing requirement cannot be fulfilled entirely by public funds given competing government priorities and the sheer scale of investment required. Businesses and investors across the region are already acting to increase their green investment. In 2015, 293 companies pledged to invest in $100 billion worth of renewable energy projects in India by 2022 as part of the country’s RE-Invest Summit. 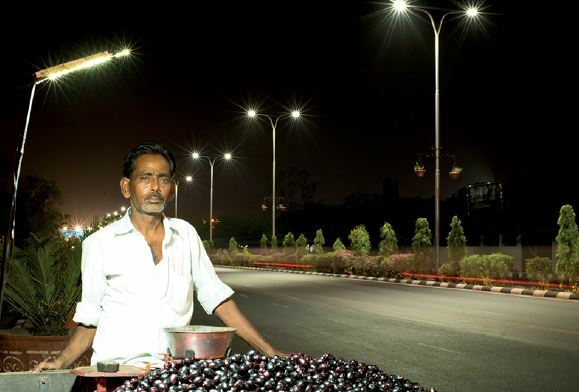 Ravi Saini sells fruit under new street lighting in Jaipur. © Iwan Bagus/IFC. In Sri Lanka, the government’s target to shift away from imported fossil fuels to achieve energy self-sufficiency by 2030 through domestic renewable energy has attracted significant private sector interest. In 2017, the IFC extended its long-term partnership with the Commercial Bank of Ceylon, committing $100 million to help the bank expand its lending for private sector renewable energy and energy-efficiency projects in the country. These projects are expected to create up to 23,250 new jobs while saving over 165,000 tonnes of greenhouse gas emissions annually. Climate-smart agribusiness: Climate-smart investment opportunities in the region are also abundant in sectors beyond infrastructure and energy. In Nepal, agribusiness employs almost 66% of the working population and contributes a third of the country’s GDP. Highly vulnerable to climate change, the country has prioritised resilience to ensure food security by promoting resource efficient technologies and local crops – creating an investment opportunity of $4.8 billion through 2030. To help lay the foundation for future investments in its agribusiness sector, Nepal has partnered with the Pilot Program for Climate Resilience, which aims to increase revenues of farmers and agribusinesses throughout the region by identifying and promoting high yield climate resilient soil and seed varieties and water management practices. Financial innovation plays an important role helping South Asian companies adapt and thrive in increasingly climate-vulnerable industries. Bangladesh’s agribusiness sector, for example, contributes 20% of the country’s gross domestic product but is highly vulnerable to frequent natural disasters – making lenders reluctant to extending finance to the sector. Responding to this unmet need, Green Delta Insurance has developed weather index-based insurance products for smallholder farmers and financial institutions lending to the industry, helping to minimise the impact of crop losses caused by drought, flooding, and cyclones. Once fully subscribed, these products are expected to cover 75,000 farmers across Bangladesh, helping the country realise a potential $9.1 billion in climate-smart agribusiness investments through 2030. 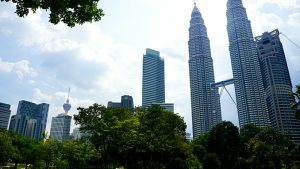 Despite this admirable progress, unlocking trillions more in finance for climate-smart projects in key sectors such as transport, green buildings, waste, water, agriculture, and renewable energy will require further appropriate reforms. By intensifying their upstream engagement with the private sector and streamlining processes for project development and approval, South Asia’s governments can more efficiently channel funds towards catalytic market-creating investments. For example, Sri Lanka has announced plans to introduce standardised e-procurement and permitting processes for climate-related projects. Meanwhile, Bangladesh and Nepal are pursuing public-private partnerships for public transport infrastructure and hydropower, respectively. These proactive investment policies are helping reduce project transaction and administrative costs while providing developers more certainty with more predictable returns on investment. Agriculture employs two-thirds of the population in Nepal. ©Simone McCourtie/World Bank. Often these infrastructure projects and public-private partnerships occur at the local or city level, where creditworthiness is a bottleneck to accessing the long-term resources needed to finance projects. Introducing credible accounting frameworks, financial management systems, and independent audit can help these projects achieve investment-grade creditworthiness and tap into international capital markets. For example, in 2017 the Indian city of Pune raised $30 million in financing for urban water infrastructure through a municipal bond. Its creditworthiness was earned by modernising its tax collection system, developing a debt policy, and offering state guarantees and escrow accounts for funds. Targeted sector-specific incentives aligned with national climate goals can also help create opportunities for private sector engagement. For example, India has introduced auctions for solar power, Sri Lanka has a green buildings code and evaluation system, Bhutan has a target for electric vehicles deployment, and Maldives is integrating resilience into its new urban infrastructure development. These policies can be supplemented by campaigns to raise awareness among companies, financiers, and the public to increase demand for climate-smart investments. IFC’s new report offers recommendations to help unlock private sector financing for climate-smart investment opportunities in key sectors of interest to businesses in South Asia. Demonstration projects can be implemented to signal commercial viability and raise awareness in the market. Streamlining procurement and processes through measures such as e-procurement will help to encourage public private partnerships. All of this will help to create markets for climate business. With the right policy frameworks in place, trillions more in climate-smart investment will follow. South Asia’s governments have already taken significant steps towards outlining and fulfilling their nationally determined contributions as per the Paris Agreement. However, to fully meet their climate-friendly development goals, countries in the region will need to scale and replicate their progress across sectors. Attracting private finance through incentives, financial innovation, and business models targeted at sector specific local conditions will help create markets for climate business essential to achieving these targets. 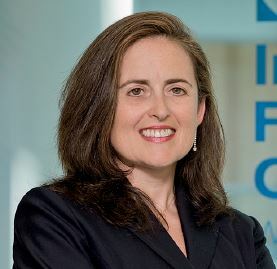 As the Director and Global Head of IFC’s Climate Business, Alzbeta’s role is to facilitate business growth, provide thought leadership, fundraise and facilitating all work related to renewables, climate-smart agribusiness, green bonds and other climate business areas. Prior to her current appointment, she was a director and global co-head of Agribusiness, Manufacturing and Services Investments group where she managed over $13 billion of assets in emerging markets, leading a group of 400 bankers in 60 IFC offices worldwide. During the past 20 years, Alzbeta worked in many areas of IFC and rose through the ranks, including serving for two years as the Chief of Staff to IFC’s former CEO Mr Lars Thunell.